Zombie Room Escape 06. We are glad to introduce the new series horror type escape game, you could get this series in the upcoming days. Developed by Games4Escape. In this game, somebody locked you in the Zombies place. 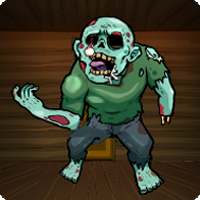 You have to come out from the Zombies house and escape by finding items and solving the puzzles. Use your best escape skills. Good luck and Have fun..